Joseph and his wife Jacqueline lived peacefully in Burundi with their 7 year old son, Alikeli. However, when conflict and violence erupted in their home country in early 2015 following disputed elected, they witnessed killings and forced evictions all around them. “In our country the situation is very bad. People affiliated with the government started attacking people and towns that were not. We hear of many killings and we were very frightened as we knew they’d come to our town next,” recounts Joseph. They walked for two days carrying Alikeli and a few belongings on their back. When they finally reached the border to Tanzania, they were turned away by soldiers and robbed of all their belongings, including Jacqueline’s sewing machine – her precious source of income. When night fell, Joseph and Jacqueline made the brave decision to sneak past soldiers and cross over to Tanzania. 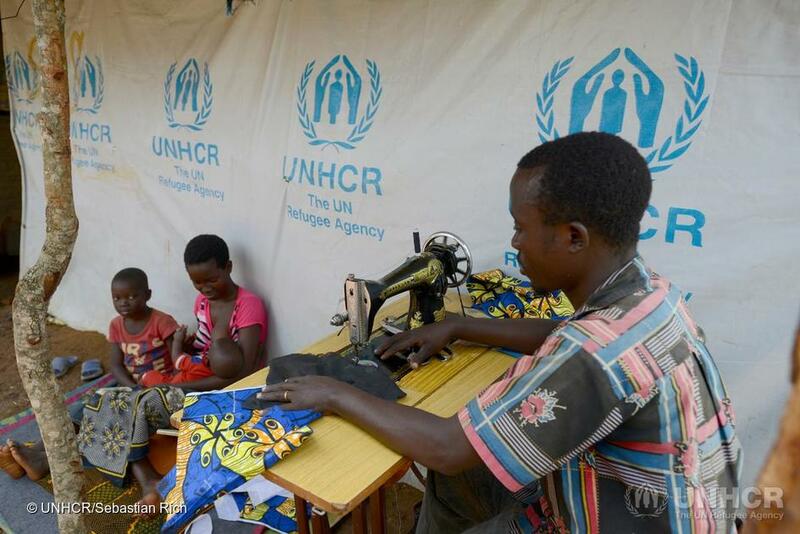 Hundreds of thousands of refugees have fled Burundi. Many families living in the overcrowded camps in Tanzania are still living in emergency tents that barely offer adequate shelter. By participating in the Step for Safety walk, you will be helping families like Joseph and Jacqueline’s who’ve been forced to leave home in search of safety.